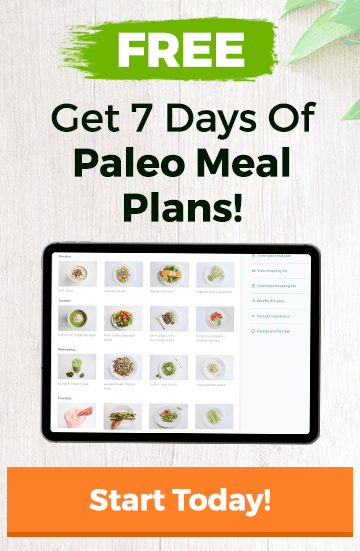 Sometimes, with all the different paleo sites and authorities around, it can start to feel like eating paleo is way more complicated than it is. Dairy isn’t paleo but should you eat grass-fed butter? Fruit is paleo but which fruits are best for you? How much fruit is OK? These questions are all valid but until you’re eating paleo 80% of the time, there’s no need to get caught up in the details. To get the biggest results quickly, you just need to start by eating real food most of the time. Paleo is really quite simple. It all comes down to eating real food, i.e. food that is found naturally in the world. 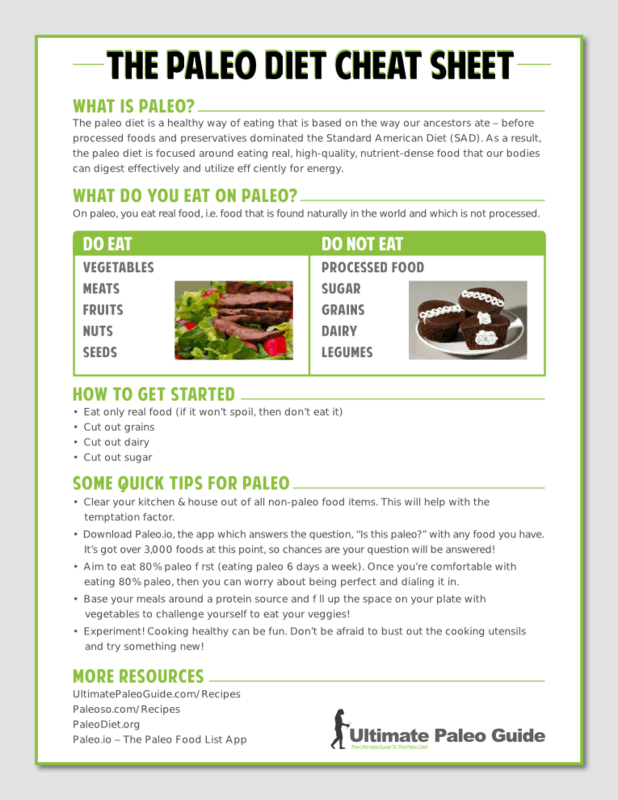 To get started with paleo, simply follow The Paleo Diet Cheat Sheet below. This cheat sheet is also a great tool to share with friends and family who either don’t quite understand what you’re doing, or who you think could really benefit from going paleo. Simply share this page with them and they’ll know everything they need to know. How Much Fruit Can I Have On The Paleo Diet? How To 80/20 Your Paleo Lifestyle?